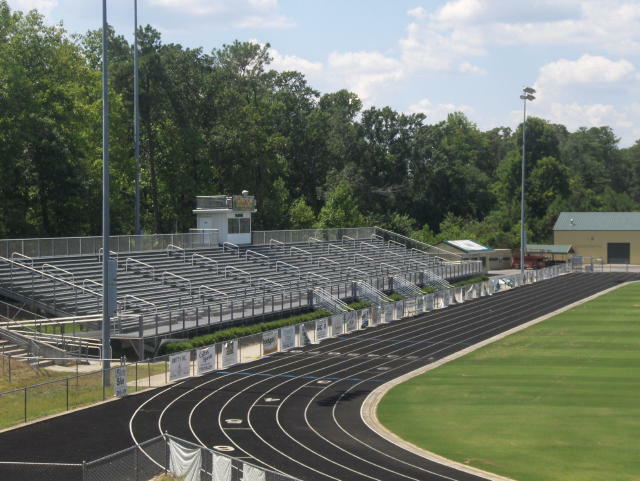 The Grayson Community Stadium was completed in multiple phases. Future improvements include an electronic matrix board. At 8,500 plus capacity, the facility is one of the most comfortable and functional for fans and media in the Southeast. 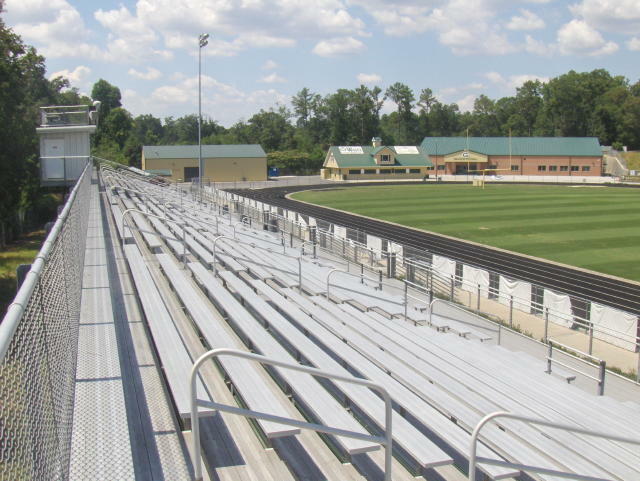 Phase 1 – The Visitors Side is comprised of seating for 2,521 fans plus a fully enclosed press box. 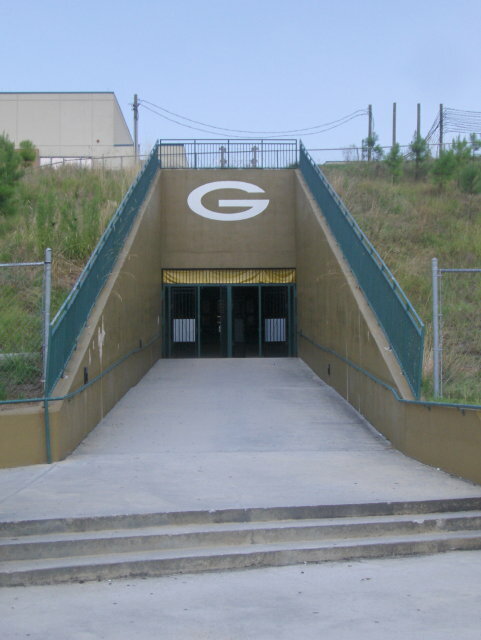 The visitor’s side was constructed in 2000 at a cost of $280,000 and completed in time to host the first varsity football game at the new Grayson High School. The existing football scoreboard was also completed under phase 1. 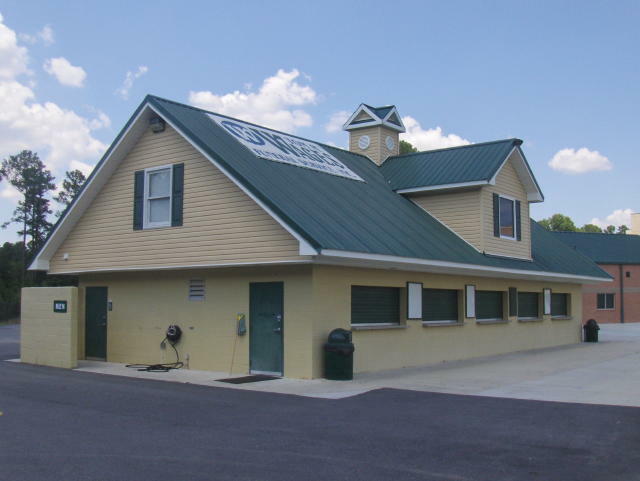 Phase 2 – The Main Concession Stand and original coach's office building was completed in 2001 at a cost of $118,000. The bottom floor is a completely furnished concession stand along with large, air-conditioned men's and women's restrooms. The second floor contains an office, restroom plus two additional meeting or conference rooms. 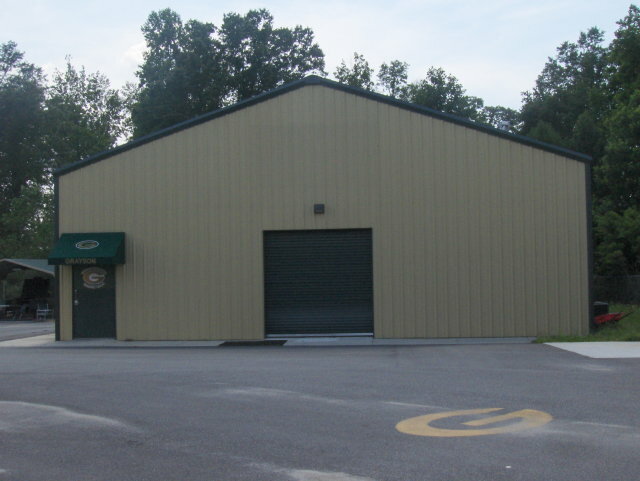 The coaches’ offices were moved to the field house when it completed in 2008. 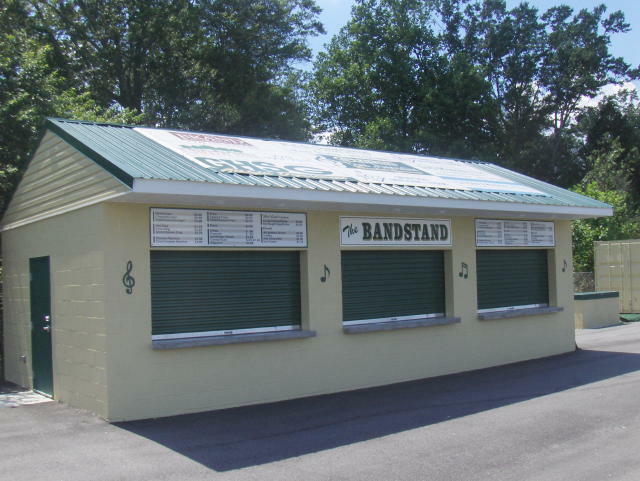 Phase 3 – The home side stands and home side press box was constructed in 2002 at a cost of $355,000 and holds 2,500 fans. 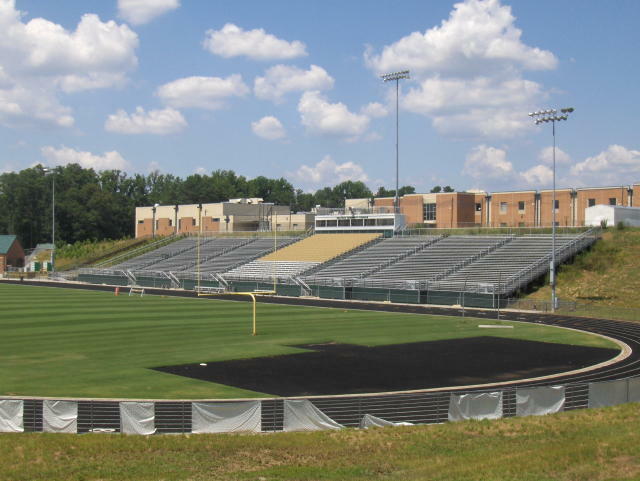 Phase 4 – In 2004, 3,000 more seats were added to the home stands and the press box capacity was tripled. 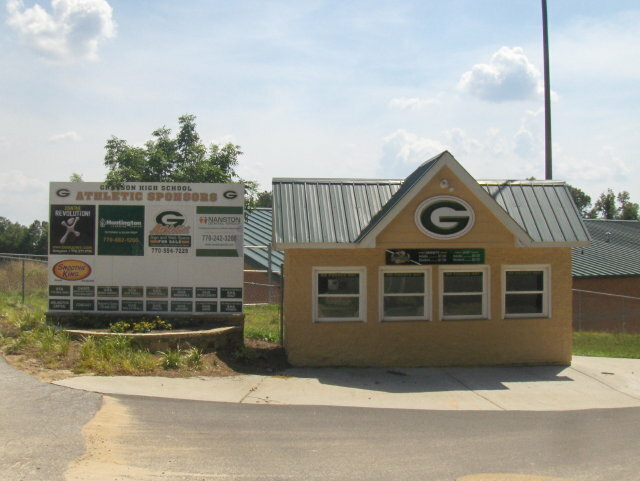 Air-conditioning, electrical service and a functional deck above the press box enables Grayson to comfortably host print and broadcast media and the video recording of games and scrimmages. 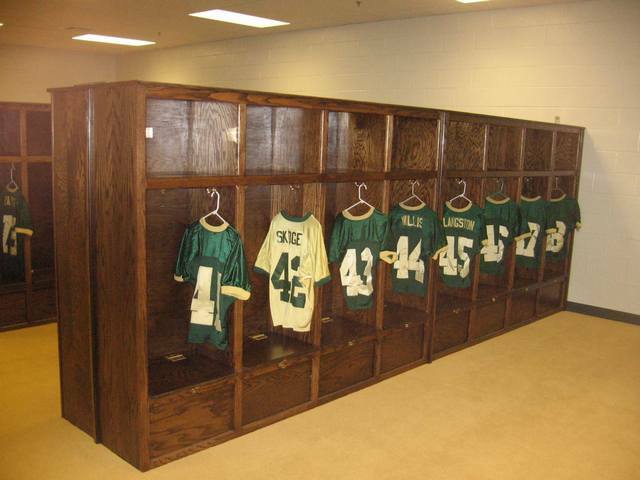 Phase 5 -- The Grayson Touchdown Club constructed a 4,000-square-foot Strength Center in 2005. 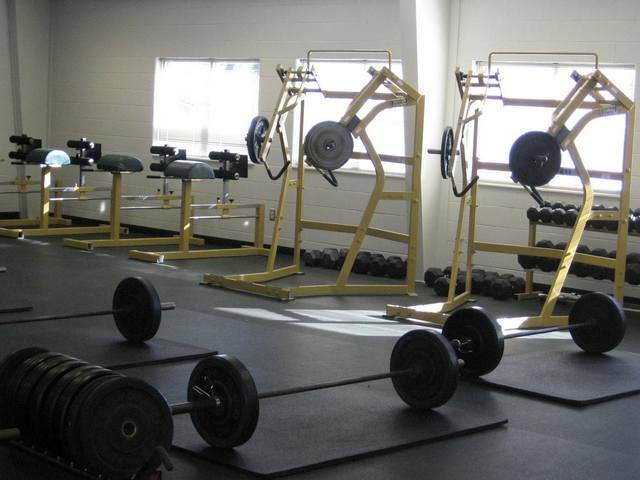 The facility houses weight and conditioning machines and is used for special meetings and programs. 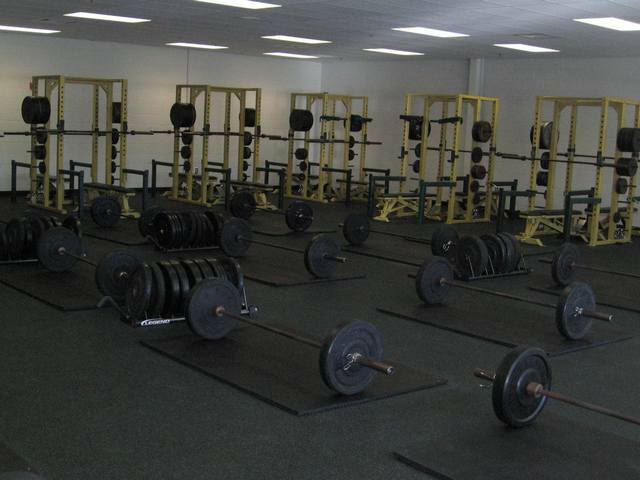 In 2008, the primary weight room was moved to the new Field House. 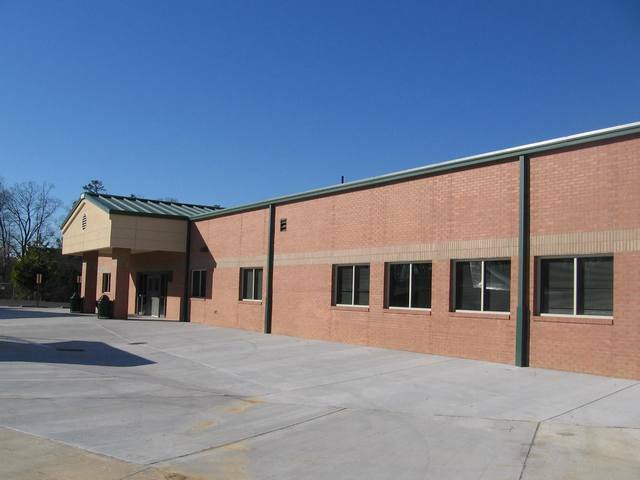 The Multipurpose Facility in now used for many activities including football conditioning, mat drills, indoor speed training, wrestling, competition cheerleading and special events. 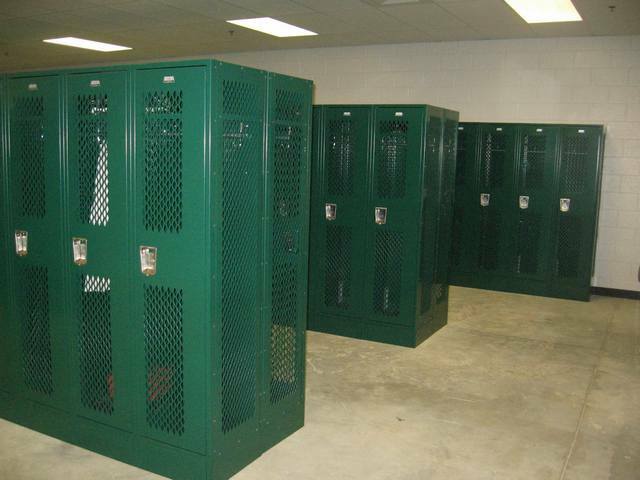 Phase 6 – Dedicated in the summer of 2008, a new field house was constructed to provide a permanent home to the football players and coaching staff. 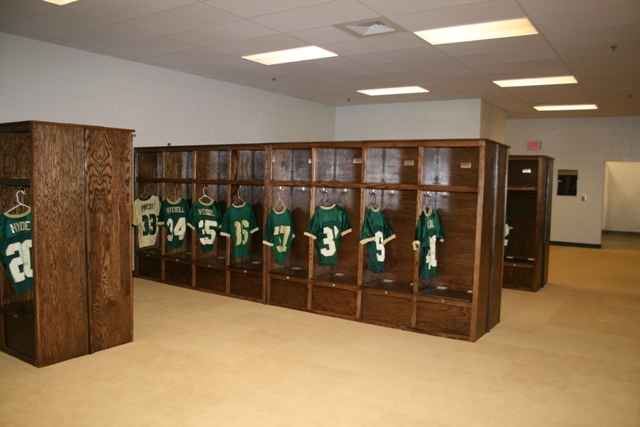 The facility includes a head coach’s office and assistant coach’s offices, locker room and shower facility for the coaches, a team meeting room, equipment storage, 9th grade locker room with showers, Varsity and JV Locker rooms with showers, team training room, video editing room and a weight room. 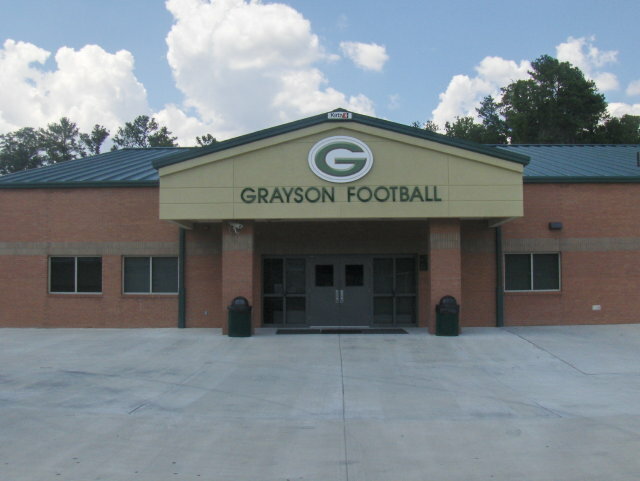 Thanks to the hard work of our Touchdown Club, Athletic Association and Grayson Fans! 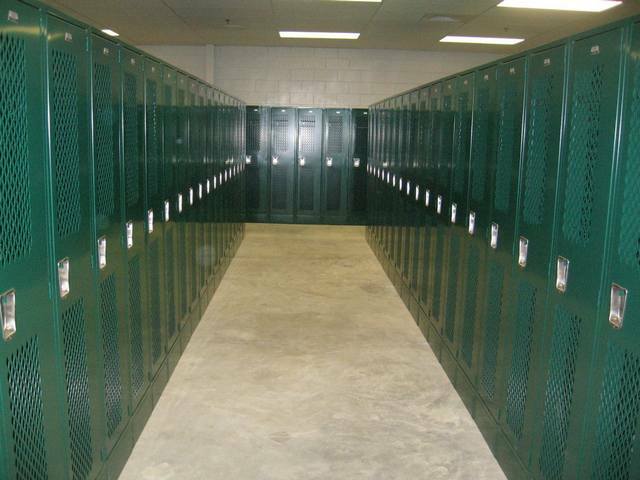 We are very proud of our facilities!